Civitas Ensemble is a nonprofit performing arts group that is comprised of members of the Chicago Symphony Orchestra. 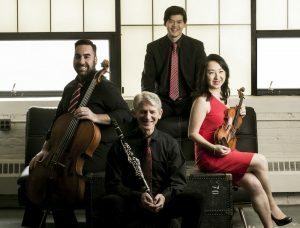 The goals of Civitas are to provide classical chamber music at the highest possible level to people who are passionate about live music, to present educational programs to young audiences, and also to bring music to those who would have limited access to the healing power of live classical music. Civitas strives to achieve these goals through creative programming which includes working with other nonprofit organizations, collaborating with other artists and visual arts, and presenting new compositions.